Here is a story that appeared yesterday in the Say Anything Blog. It includes a video of Senator Connie Triplett mindlessly repeating planned parenthood’s pro-abortion talking points. After some rather derogatory remarks towards the sponsor of the measure, Senator Margaret Sitte, Sen. Triplett is asked to stay on subject. Thankfully Senator Spencer Berry, a physician, steps in to set the record straight. Thankfully someone had read the bill (SB 2303)! Here’s a hat tip to the Say Anything Blog for some great and straight forward coverage. Similar personhood amendments passed the House of Representatives in 2009 and 2011 but died in the Senate. This is the first time the legislation earned the support of the Senate. The bill will now go to the House for a vote. Jennifer Mason, spokesperson for Personhood USA, told LifeSiteNews.com in a telephone interview that she believes the legislation has a very good chance of passing the House and being signed by the governor. In addition, the Senate has approved SB 2303 which “ensures that the protection that our criminal laws afford to victims of crimes extends to all human beings born and unborn. “North Dakota is leading the way for equal rights and protections for all human beings,” said Mason. SCR 4009 and SB 2303 were both written as to ensure that mother and baby are both treated as medical patients, that medical care is not inhibited, and that fertility treatments are not banned. “Abortion laws are archaic, based on 40-year-old science and technology,” added Mason. Representative Dan Ruby of Minot has introduced H.B. 1450, the Defense of Human Life Act, and there is a very good chance this bill will be the first personhood law to pass in America! 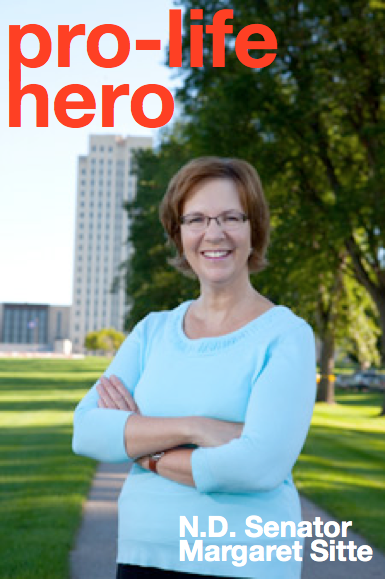 It is endorsed by North Dakota Life League and by North Dakota Right to Life. We need you to contact the legislators listed below and ask them to support H.B. 1450, the Defense of Human Life Act by voting for it in their Human Services Committee vote. The underlined words are what is being added to the law. Most of this bill is just re-stating current law to provide context as to what is being changed. The ND House Human Services committee hearing for Rep. Dan Ruby’s pro-life bill is Monday January 31 at 9am in the Fort Union room. We will try to hold a press conference in the main hall outside the House and Senate chambers following the committee hearing. Please come and invite all your friends. 2 abortion survivors are coming to speak. PLEASE EMAIL THE LEGISLATORS LISTED BELOW, PASS ON THIS EMAIL TO ALL YOUR PRO-LIFE CONTACTS IN NORTH DAKOTA, AND CALL THE LEGISLATORS BEFORE THE HEARING ON JANUARY 31.